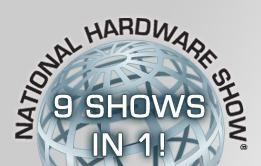 InventionHome is pleased to announce it will once again sponsor the Inventors Spotlight at the 2011 National Hardware Show (NHS), along with the United Inventors Association (UIA) and Garden Weasel. This is a “don’t miss” opportunity to show the Hardware Industry your inventive solution for today’s homeowner. It’s also the chance to learn from industry experts what it takes to commercialize your invention during a free Inventor Seminar. Should I exhibit my invention? If you have an invention that brings a new, unique and original solution to today’s homeowner after the home is built, you should consider attending. The Inventor’s Spotlight is for inventors with prototypes or finished products that can be easily demonstrated. This year’s theme is “where deals are made.” Industry experts will award special merit to the following 5 categories: Best New Product, Most Retail-Ready, Most Eco-Friendly, Best Business Potential, and Best for Simplicity & Manufacturability. The winners will be awarded and featured in the Inventor Digest Magazine. The face-to-face meetings with potential buyers/licensees, networking opportunities with industry professionals, and inventor educational seminars are well worth the cost to attend. Should I attend the free Inventor Seminar? Any inventors interested in learning more about patenting, manufacturing, licensing, marketing, or selling their products in the Hardware industry should consider attending. Featured speakers include David Kappos, Under Secretary of Commerce for Intellectual Property and Director of the United States Patent and Trademark Office, and A.J. Khubani, CEO/Founder of infomercial giant Telebrands. There is no need to register for this seminar; all inventors attending the show are welcome to attend. Reserve your booth for the seminar by calling Cheryl Fishbone-Todaro at 203.840.5444. Exhibit spaces are limited (space will sell out). Patent protection is recommended for exhibiting. Licensed by InventionHome to Jasco Products Company, the Recessed Light Extender is now selling under the GE brand by great companies like the Home Depot. 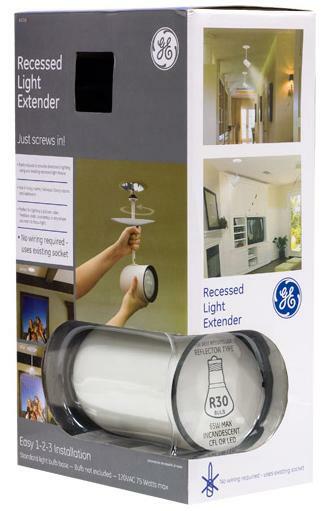 When inventors Mark Higgins and Vivian Hurd first conceived the idea of a new invention that would transfer conventional recessed lighting into directional lighting, they never imagined that one day their invention would be selling in Home Depot under one of the world’s most recognizable brands, General Electric. The inventors, with the help of InventionHome, licensed their patented invention to Jasco Products Company. Jasco is a GE licensee of consumer electronic accessories, computer accessories, home electric products, and personal security and surveillance products. 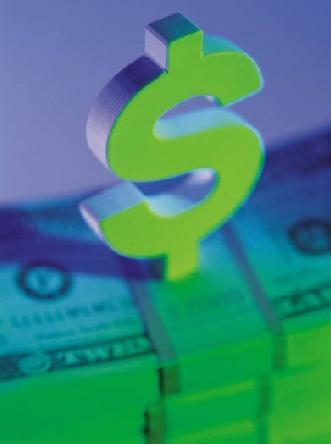 Their products are sold in thousands of retail stores, including Lowe’s, Home Depot, Target, etc. Mark and Vivian never aspired to develop, manufacture and sell their invention themselves. They knew that the financial risks were far too great, and frankly they preferred to team up with a company that already had the knowledge, resources and distribution channels needed to make the invention a success. So the pair set out in search of licensing opportunities for their invention, and soon teamed up with InventionHome whose streamlined marketing program quickly brought exposure to their invention, and ultimately, the license with Jasco. For Help With Your Invention, call InventionHome – 1-866-844-6512. Based in Aliso Viejo, California, Crown Bolt has been a global hardware supplier for over 30 years. Utilizing an innovative approach to hardware retailing, Crown Bolt has consistently delivered exceptional programs to their customers in fasteners, builders hardware, rope, chain, rod and steel. Need help protecting or preparing your invention , call InventionHome at 1-866-844-6512.